Nyx, a 30lb Sportsman class bot with interchangeable weapons including an axe, a crusher, and a lifter. 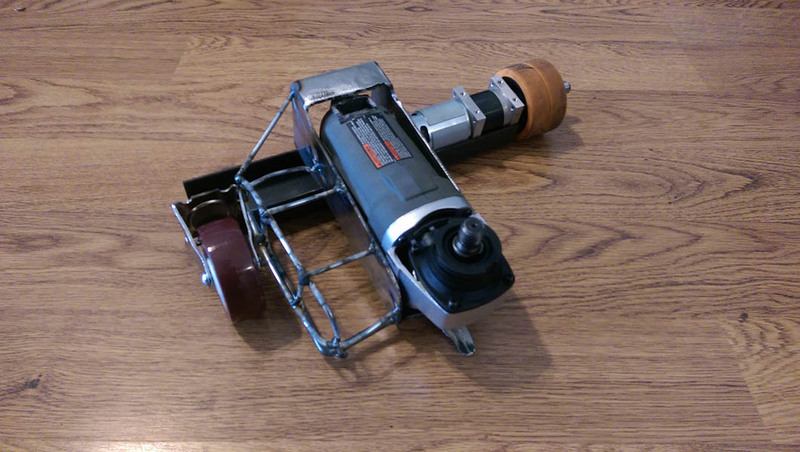 Spanky, a 30lb Sportsman class bot with interchangeable weapons including a chainsaw and a circular saw. Dolos, the rebuilt carcass of Testbot, currently competing as a wedge with a floating bot catcher. Hypnus, a 12lb dustpan-ish wedge. 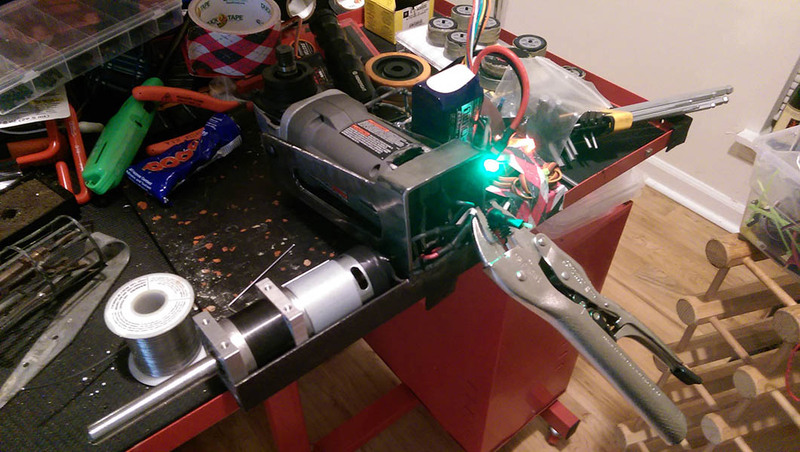 Algos, a titanium clad antweight with a high rpm spinning drumette. Klazo, one of the early prototypes for the 1lb Saifu kit that's undergone several upgrades over the years. Reptar, an antweight front hinged flipper. More bots are almost always in the works. 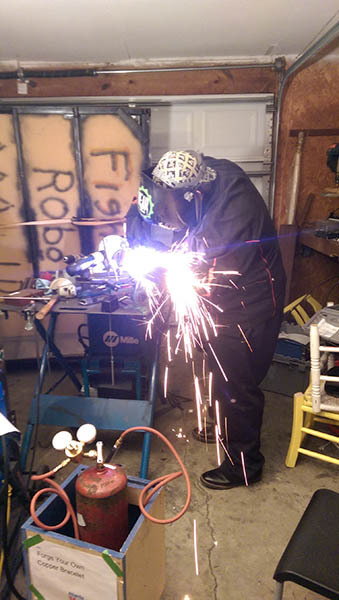 We'll also be running an event in May using the SPARC ruleset as part of the Atlanta Robot Fight Club. With Motorama coming up and the Ratbots class theoretically happening I decided to make something. This is: The End Result of a Series of Poor Decisions. Cutting out the main body from 3" square tubing with the plasma cutter. Rough cut main body post plasma-ing. 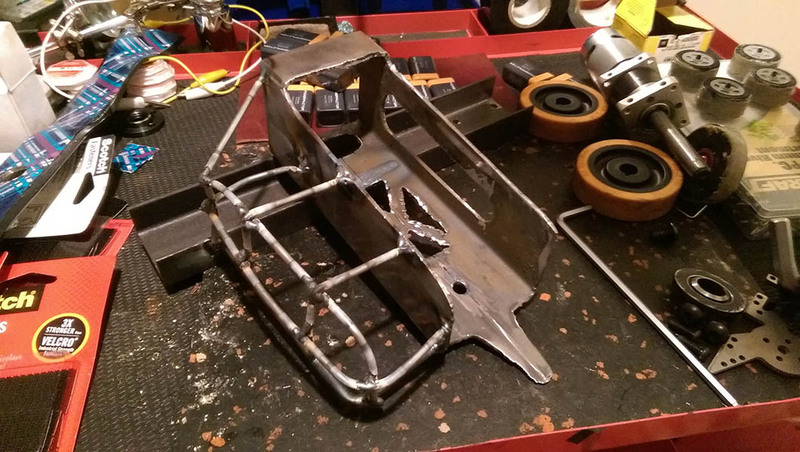 Chassis after welding the main body to the cross bar and adding the "lipo jail" structure. Rough mock-up with all wheels in place. First full power-on test. Everything works, even the weapon esc that already has one side burnt out. 1x Chinese knock-off Magnum 775 gearmotor, originally a spare for Spanky. 1x 2650mAh 6s lipo, originally a spare for Nyx. 2x BR-XL esc's, originally spare weapon escs for Nyx. 1x R610 Orange RX, originally used in Moros iirc. Weapon options consist of 1 wavy 21" lawnmower blade, one flat 21" lawnmower blade, and one 18" flat lawnmower blade. Waiting on arrival of the flat blades, some flame retardant foam for the battery, and the application of a large amount of duct tape. This is the dumbest, ugliest, sketchiest thing I've ever made. But that was sorta the point. Looks a little light. Isn't it suppose to be 12 lbs? Did up a new set of rotors for the drumette upgrades Algos is getting. Are they fully custom, or modified from existing rotors? Stator area had the bearings pulled and the inner portion was drilled out to fit the 1/4" shoulder bolt shaft. 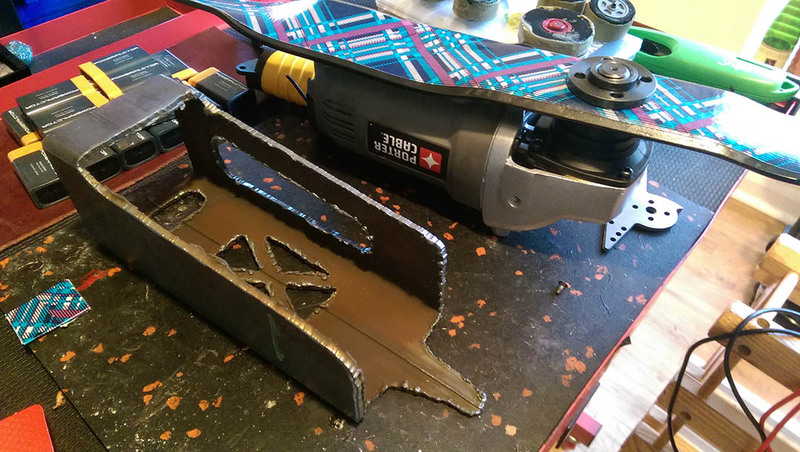 The patterned duct tape really sets off the crazy pattern on the blade. This bot looks a lot like Mr. Self Destruct... but easier to contain. The whole RatBot thing is basically what I did for Weakened Warrior for Bot Blast a couple years back. I'd enter it in this except it's my multibot entry now. Looks like you really nailed the spirit of it. It might be a very short-fought class but it will be fun to watch. Giving The End Result of a Series of Poor Decisions a quick shake down. I've put Algos back together with the new, hopefully much more durable drumette. 1/4" dead shaft via a modified shoulder bolt. What's the stuff covering the tires? Here's a shot of the main parts of the spinning weapon on Algos.